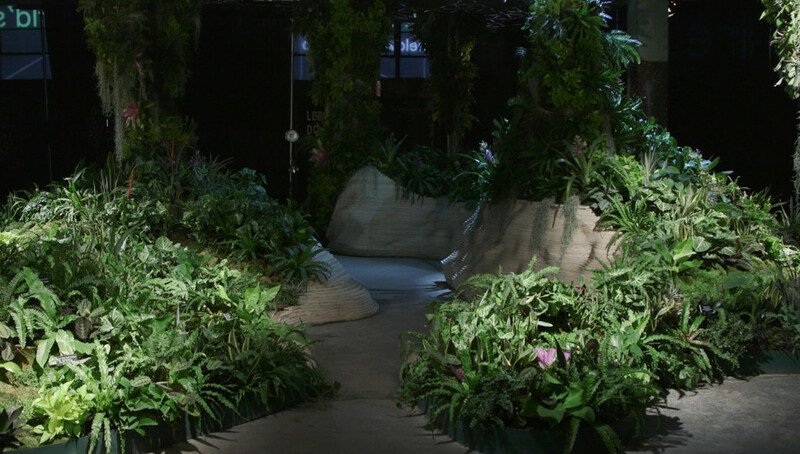 A test lab for the world’s first underground park opens its doors to visitors in New York tomorrow. 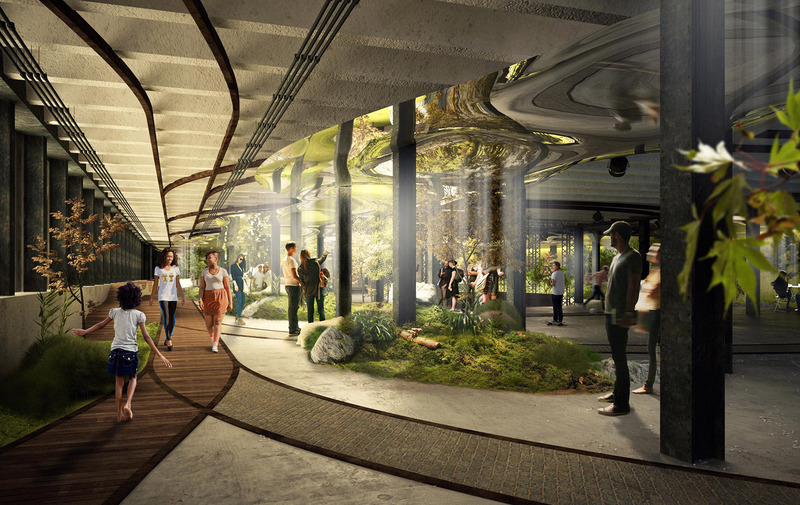 The 1,200 sq m space brings designer James Ramsey’s vision to create the Lowline – a public garden in a disused trolley terminal under Delancey Street – closer to reality. Sprouting with over 60 species of plants, the lab in the former Essex Street Market building simulates the subterranean conditions. Ramsey – a former NASA engineer – has fitted it with solar capture technology and a system of pipes that funnel natural light into the space, magnifying it to an intensity 30 times that of regular sunlight. For the next five months, the Lab will be free and open to the public. Visitors will be encouraged to roam the ‘surreal, psychedelic landscape’, as Ramsay calls it, and inspect the foliage close up. Hidden in random spaces are spores of mushrooms that will grow over the coming weeks. The Lowline lab was built with $225,000 raised on Kickstarter by Ramsey and co-founder Dan Barasch, who will be watching closely to see what tweaks need to be made to the technology to bring their underground park to fruition. It is just a fifth of the size of the trolley terminal site. The space will be open to the public at weekends and, during the week, will play host to school groups and community organisations. Film, by Jonathan Karam, for The Spaces. Assisted by Yura Makarov. Music: Róisín Murphy – In Sintesi (JD Twitch Optimo Mix).